As the Boston Cannons continue their undefeated season at Harvard Stadium, the fans are showing their support, with crowds thus far reaching 11,000-plus. Through 3 home games, the Cannons average attendance is 9,908, very impressive for a franchise who barely gets any media attention. While playing at the 109 year-old Harvard Stadium certainly has its benefits as an attraction in itself, there is also the capacity issue. If the the Cannons still played at their former venue Nickerson Field at Boston University, all of their games this year theoretically would have been sold out. At the 30,323 seat Harvard Stadium, they are playing to a one-third capacity. Between the historic setting that Harvard Stadium provides, and the lively atmosphere that can be found in Cambridge, the Cannons have established a very good relationship with the community. They might not be getting the media attention they would like, but the fans continue to show their support. As the growth of youth lacrosse continues across the region, the Cannons are on their way to increased popularity in the years to come. While their league continues to establish itself, the Cannons will grow even stronger as a franchise. Major League Lacrosse averaged 6,417 fans in 2011, with 3 teams carrying the weight, and the remaining three teams drastically decreasing the league's average attendance. The Cannons finished second in the league with 8,661 fans per game, and this year they look to increase that as the heart of the season is yet to come. 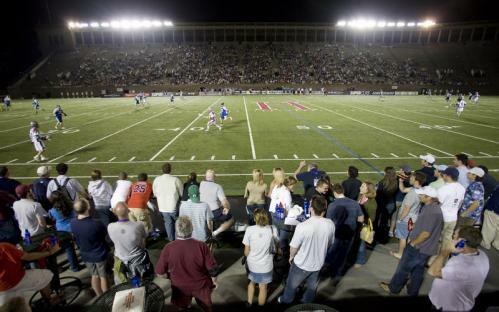 Selling out Harvard Stadium may be far-fetched, but as the Cannons keep winning games, the loyal fans continue to fill the cavernous stadium with a sport new to its century-long history.